Lawn mowing sounds like a simple enough thing. You just gas up the mower, yank the cord, walk or ride around in rectangles for awhile, and the deed is done. Ah, but the lawn connoisseur knows there’s a lot more to it than that. How you mow, when you mow and even what you do with the clippings can make a big difference in how your lawn performs. In fact, mowing the lawn is probably the most underrated and overlooked part of good lawn care. It increases moisture and nutrition demands as the grass tries to fight back from near total decapitation. It allows the soil to dry out faster, which increases the ill effects of drought. And, weeds germinate better and get off to a faster start when taller grass blades aren’t shading them out. What really makes a mown lawn look good is the evenness of the cut — not its height. Most people are just as happy with a 3-inch-tall evenly cut lawn as a 1-inch-tall evenly cut lawn. 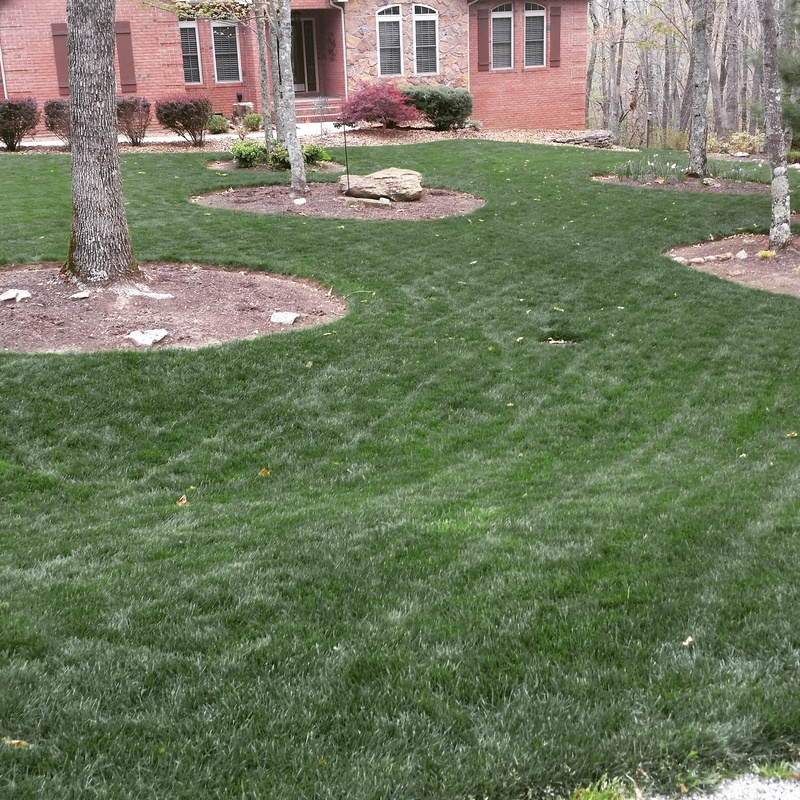 A bad cut can dehydrate your lawn and promote weed growth. The theory that cutting short lengthens the time between cuts also doesn’t hold up. 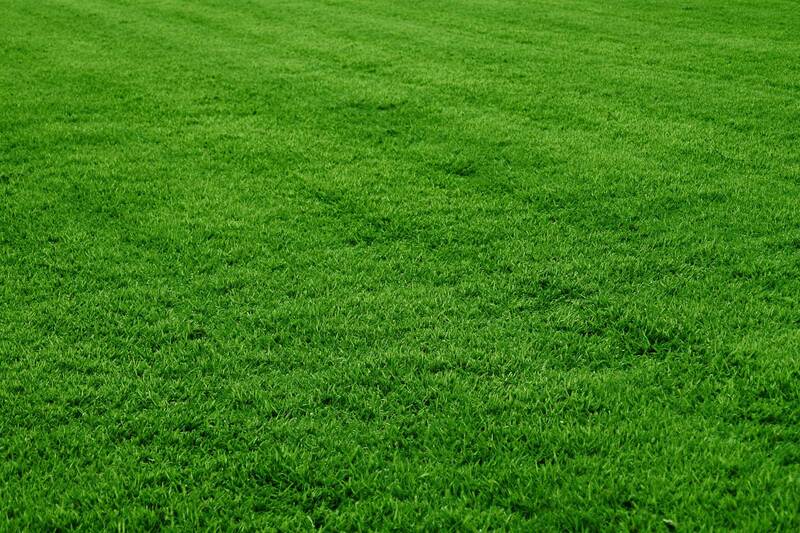 Grass actually grows faster after it’s been cut short as it tries to rebuild itself to its genetic norm. A good in-season height for most turfgrasses is 2½ to 4 inches — typically the highest setting on mowers. A second important issue is when to get out the mower. A good rule of thumb is to mow the lawn often enough so you’re never removing more than one-third of the blade length at a time. Mowing is actually pruning. And that’s a form of injury to the grass plants. Severe cutbacks are much more stressful on grass than lighter cuts and require more energy to heal. When grass is growing fastest in mid-spring, this may mean mowing twice a week or every four or five days. It’s much better to cut that often than to wait a few more days and end up having to whack 3 inches off of a 6-inch stand. That’s not only a shock to the grass but creates an unusually large mass of clippings. And what about the grass clippings? Big piles of clippings are bad news because they can’t be left on the lawn. They’ll mat down the living grass blades and shut off the sun’s rays, which will yellow the grass and encourage diseases. Clippings that can be seen even in small piles should be raked up and preferably composted or used as a mulch over garden beds. Clippings can potentially provide one-third of your lawn’s nitrogen needs to don’t rid them EVERY time. If you’re mowing regularly, clippings won’t be a problem. They’ll be short enough to disappear into the lawn. It’s actually best to let the clippings drop into the lawn as opposed to bagging them. Why? They return precious nutrients to the lawn soil as they break down. Turfgrass researchers at Penn State University estimate that letting the clippings decay in place supply about one-third of the lawn’s total nitrogen needs for the season. The decaying clippings add organic matter to the soil. Clippings are not a significant cause of thatch in the lawn, as is often believed. Thatch is that layer of dead roots, crowns and other decomposing matter that can impede rainfall and oxygen exchange when it’s too thick (i.e. more than an inch). In a healthy lawn, microbes quickly break down small grass clippings. Returning the clippings to the ground is recycling at its best and keeps organic “waste” out of the trash stream. Mulching mowers do an excellent job of chopping the clippings into small pieces. Even ordinary side-discharge mowers disperse clippings well enough to let them lie when you mow at frequent enough intervals. If you fall behind, at least try to work around the perimeter of the yard, shooting the clips inward so you’ll end up having to rake only one or two channels in the middle. If you go back and forth — shooting first to the right and then to the left — you’ll end up with a channel of clippings every two passes. Avoid cutting the grass when it’s wet. The clippings are more likely to mat together then, you won’t get an even cut (the mower wheels will flatten grass blades), and you may even compact the soil if it’s wet. Also don’t attempt to mow when grass is going brown and dormant in a drought – even if you’re mainly doing it because weeds are continuing to grow and are poking up. Grass crowns become brittle and fragile in drought conditions, and if you smash them with your feet and mower wheels, the plants won’t recover when rains return. Dead crowns equal dead grass. Reel mowers, though not always a viable option, are the preferred mower. These work great, but so do rotary mowers when they’re kept in good condition. No matter which style of mower you’re using, the most important thing you can do is keep the blades sharp. Nice, sharp lawn mower blades make a clean cut. Dull blades rip the heads off grass blades and cause ragged edges. First, that’s a cosmetic problem because rough, ragged cuts make bigger openings that turn brown and stand out more than sharp cuts. But even worse, those bigger openings cause the grass to lose more moisture, which increases drought stress in hot weather. And bigger openings leave grass blades more vulnerable to disease spores. Sharpening your lawn mower blades once every few years is not enough. Two or three times during the growing season is a better game plan, and even sharpening once a week is the preferred schedule. Some homeowners I know own two different lawn mower blades so they always have one for the mower while the other is being sharpened. Finally, there’s the issue of the course you take as you mow. Many homeowners take the exact same route every time because it makes sense to them for one reason or another (convenience, habit, avoiding the nosy neighbor, etc.) There’s no extreme horticultural problem with that (unless ruts start forming), but altering the route can make a cosmetic difference. Look closely and you’ll notice that the color of the grass appears different depending on which way you passed over it with the mower. That’s because the force of the spinning mower blades blows the grass blades as it cuts them. Light reflecting off the grass will make it look lighter or darker, depending on which way the blades are laying. It’s this pattern of mowing that accounts for the designs commonly seen in athletic fields. Some really avid home-lawn fans do the same thing themselves, and there are even special mower blades designed for creating patterns. Varying your route can make a slight difference in the evenness of the cut by making sure no particular areas keep getting pushed down while others are always cut off. Lawn mowing might not be rocket science, but it isn’t exactly foolproof either. Just remember these few key rules, and you’ll be master of your mower: Mow high and often. Let those clips lie. And keep those lawn mower blades sharp! Everyone does it, but how many people do it correctly? Learn the proper way to mow your turf type tall fescue.